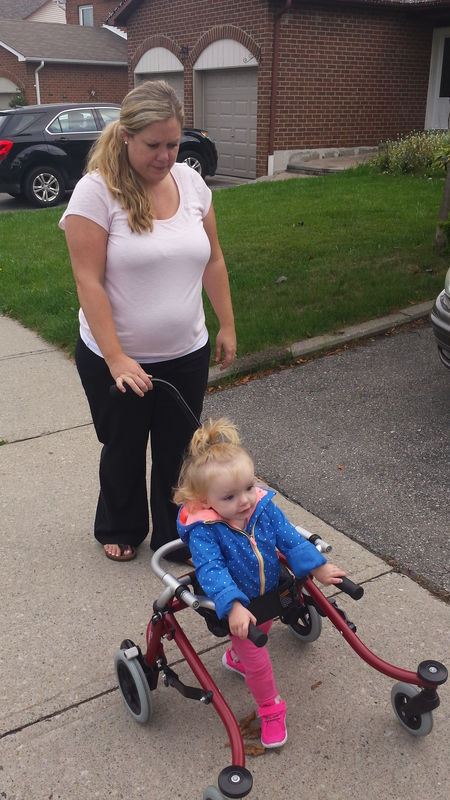 Before dinner we convinced Madison to go for a walk in her walker. She has been using her school one more throughout the day so she hasn’t been too interested at night using hers. We told her she would see Pam on her walk so she decided to go. Her walking is getting alot better. 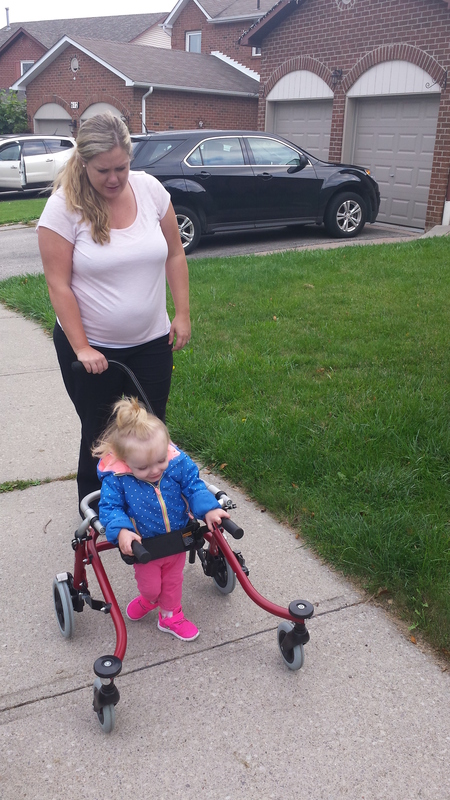 She is also more confident in her walker turning around and walking on uneven ground.